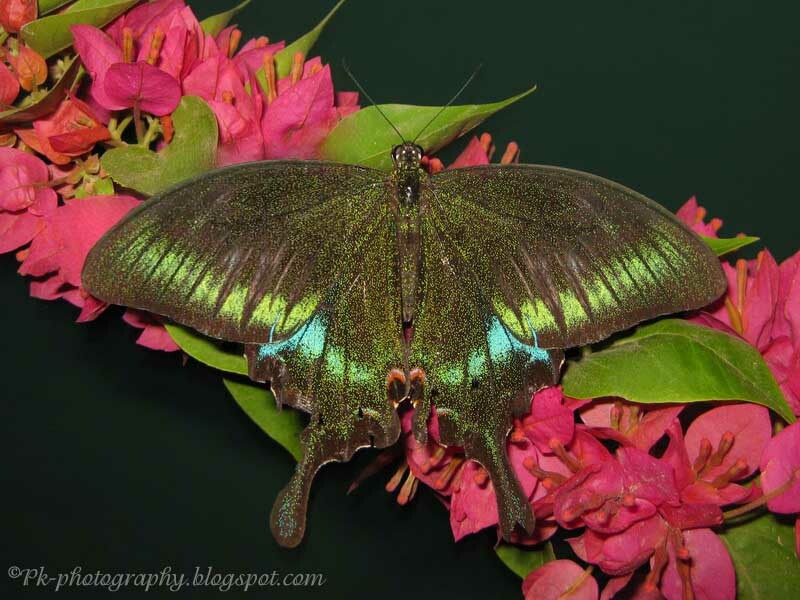 The Paris Peacock (Papilio Paris) is a beautiful green colored butterfly in the family Papilionidae (swallowtail butterflies), found in northern areas of Pakistan. 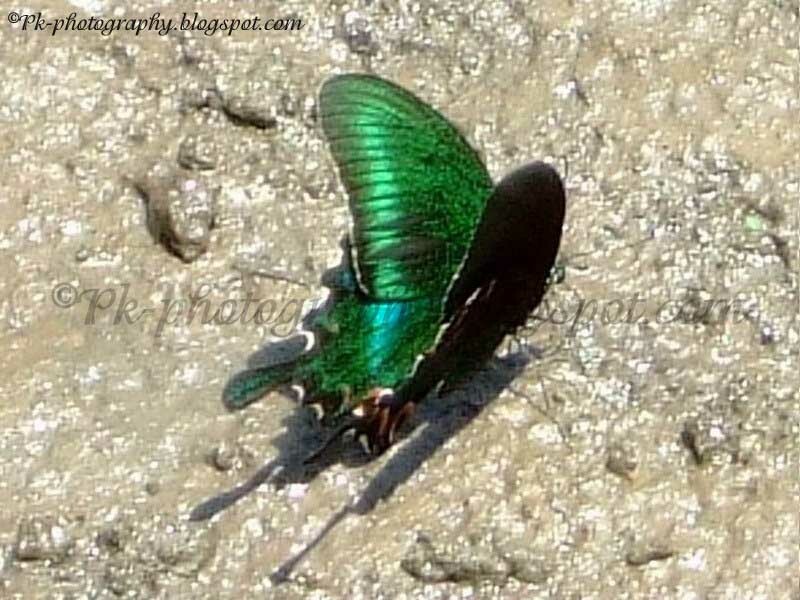 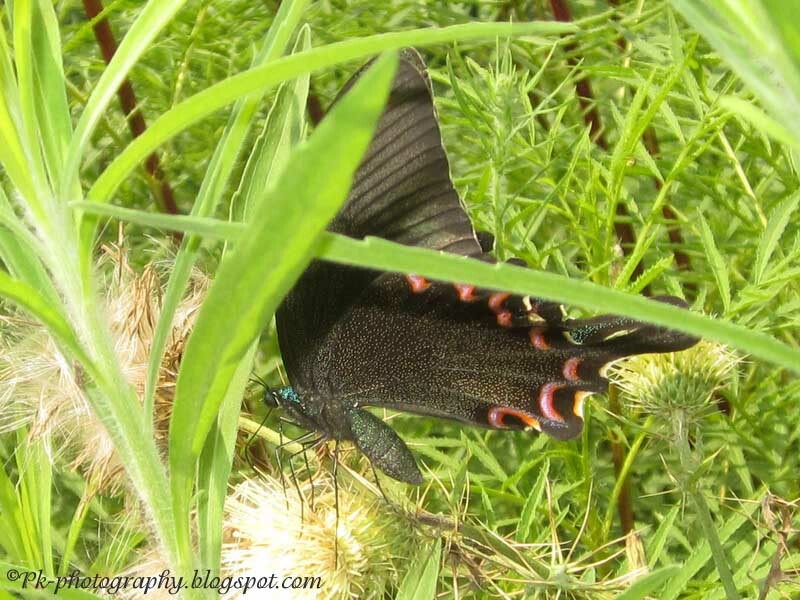 I saw this butterfly for the first and last time in May 2008, before starting this blog. 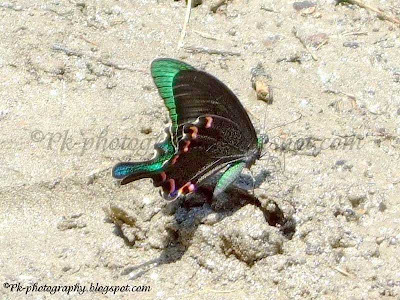 They were mud-puddling in a large number on the bank of a stream in Dara Gokand, district Buner. 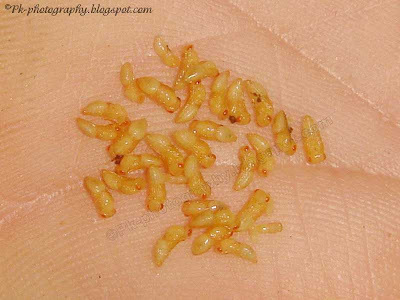 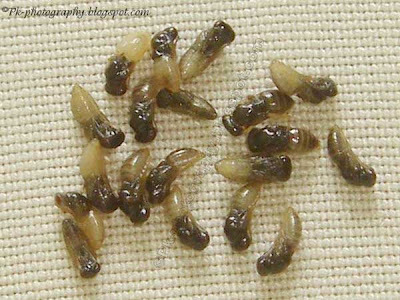 This year most of the pupae (about 90%), I found in nature were parasitized by Pteromalus Puparum. 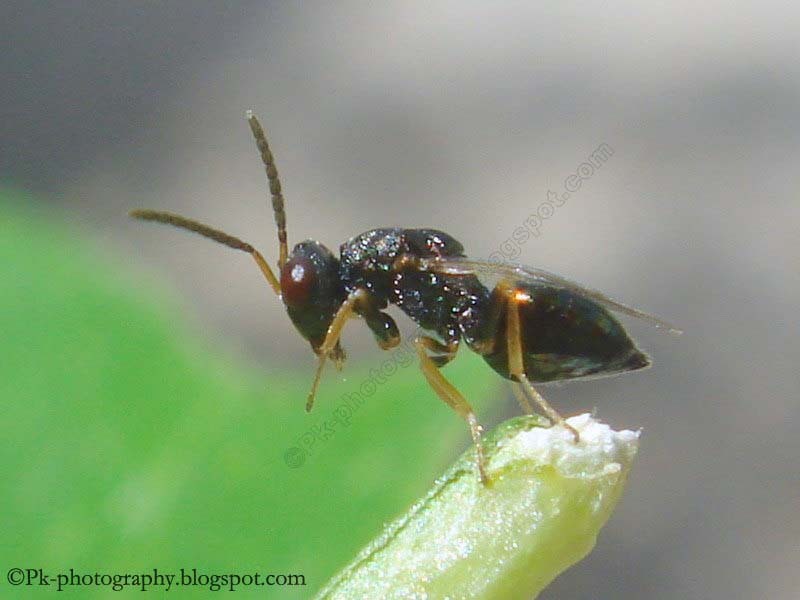 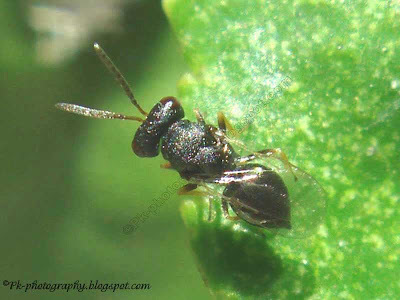 Pteromalus puparum is a small (about 3mm long) parasitic wasp in the order Hymenoptera, superfamily Chalcidoidea, family Pteromalidae, that develops inside butterfly pupae. 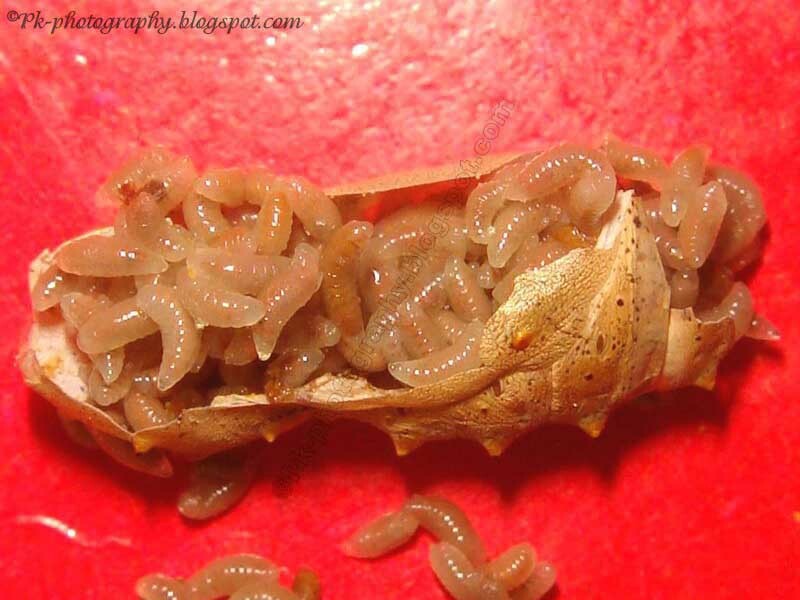 The wasp deposit eggs inside the skin of the pre-pupa caterpillar or puparial wall of the newly formed pupa. The eggs hatch into larvae, which consume the inside organs of pupa and on maturity turn into pupae. The mature wasps emerges from host pupa through a tiny hole. 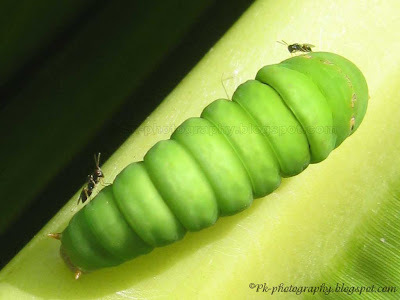 Pteromalus puparum is consederd biological control of caterpillar pests particularly cabbage white butterfly and that is why it's known as "Cabbage White Butterfly Pupal Parasite". 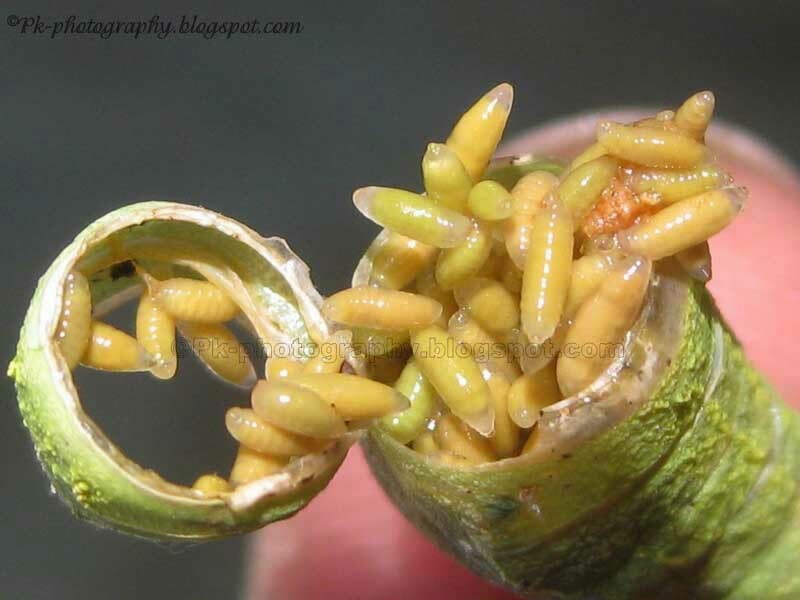 According to my personal observations the pupae parasitized by Pteromalus puparum wasp, were include pupae of plain tiger, cabbage white, bath white, citrus swallowtail and ladybug. 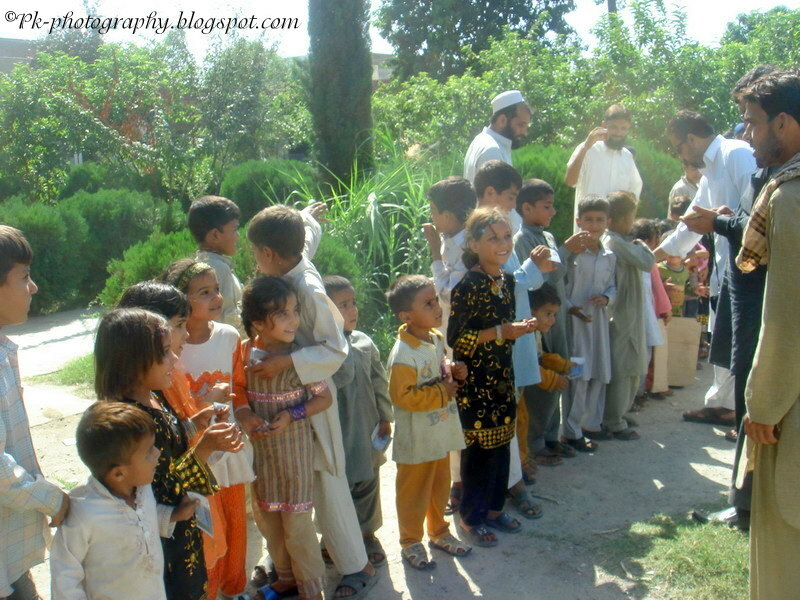 On 11th September (next day of Eid-ul-fitr) we visited the flood affected families, who reside in different schools of Jahangira and Akora Khattak (Khyber Pakhtunkhwa) to distribute our last package of food. 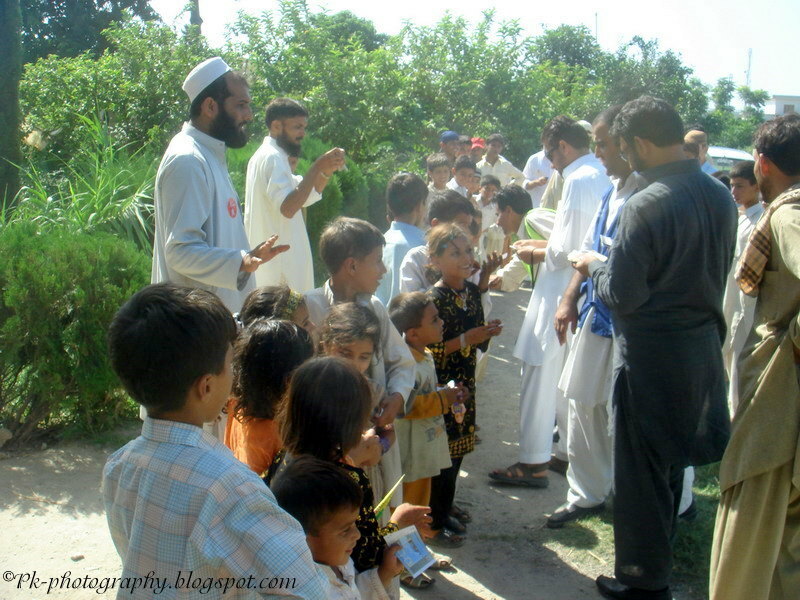 We bring food for about 2500 people. In each camp we handover food to camp incharge, so no direct interaction with flood affectees. However in Government Centennial Model High School Akora Khattak we went inside to distribute food. 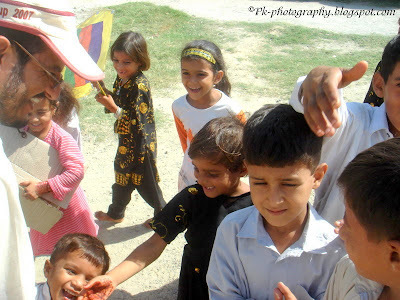 As we enter the school premises, the kids present there rush toward us to shake hand with us. 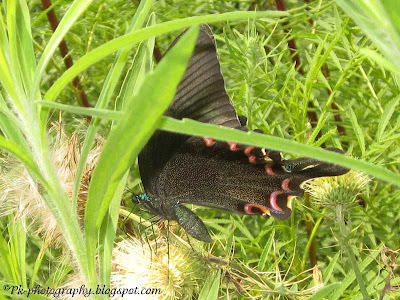 This was unexpected but exciting situation for all of us. 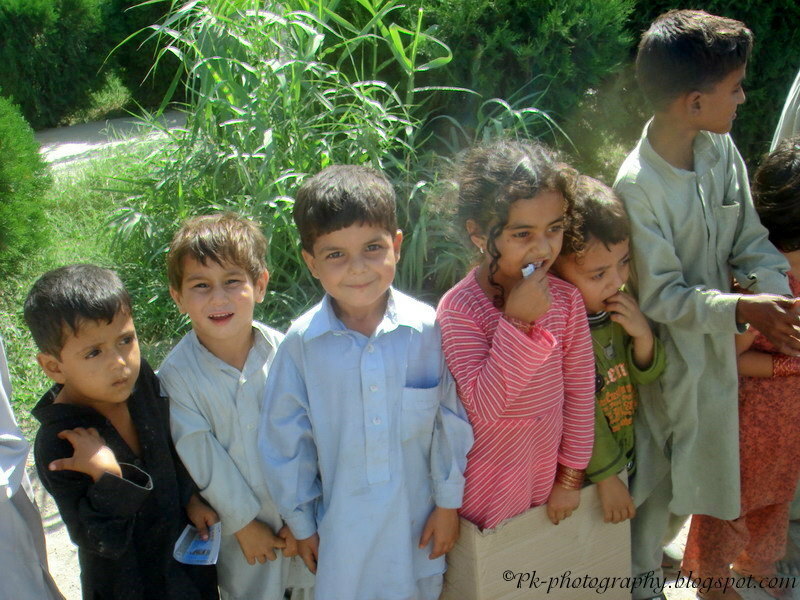 According to our tradition on Eid-ul-Fitr children receive money (Eidi) from their elders. 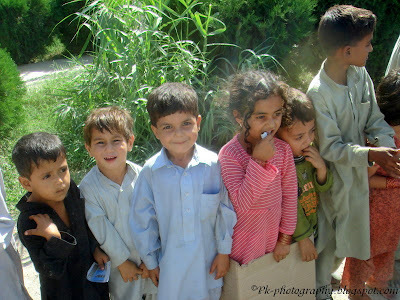 So we decided to give some money to children. 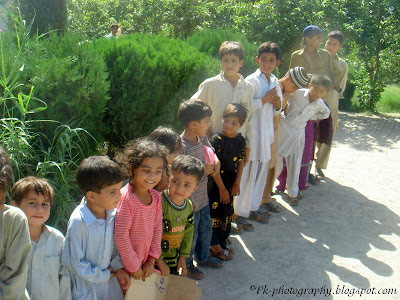 We line up them for better distribution. I saw hope and happiness on their faces as we handed money to them. Here are some pictures I took at that occasion. 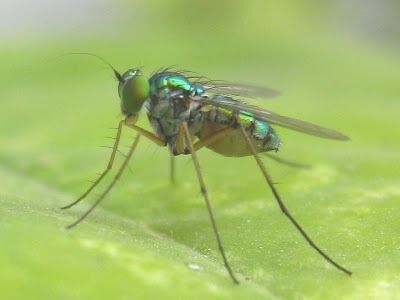 Today I'm presenting a few images of an unknown species of Long-Legged Fly found in our area. 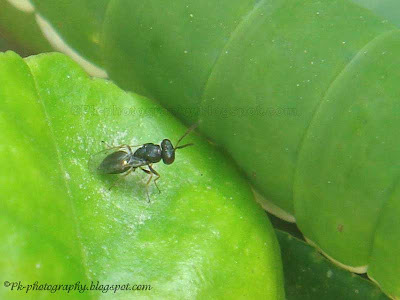 They can be easily find out on the upper surface of leaves, enjoying sunlight. 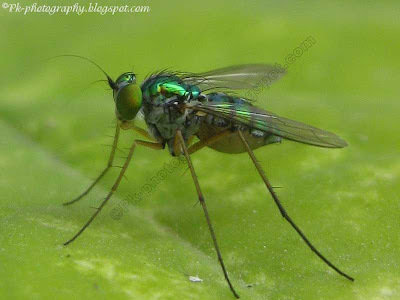 The Long-Legged Flies or Dolichopodidae is a family of true flies in order, Diptera, consistes of more than 7,000 species. 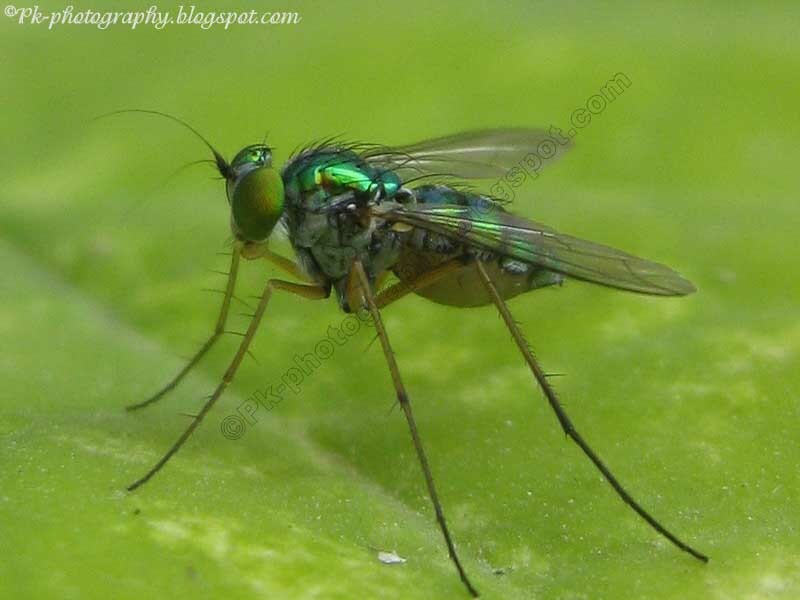 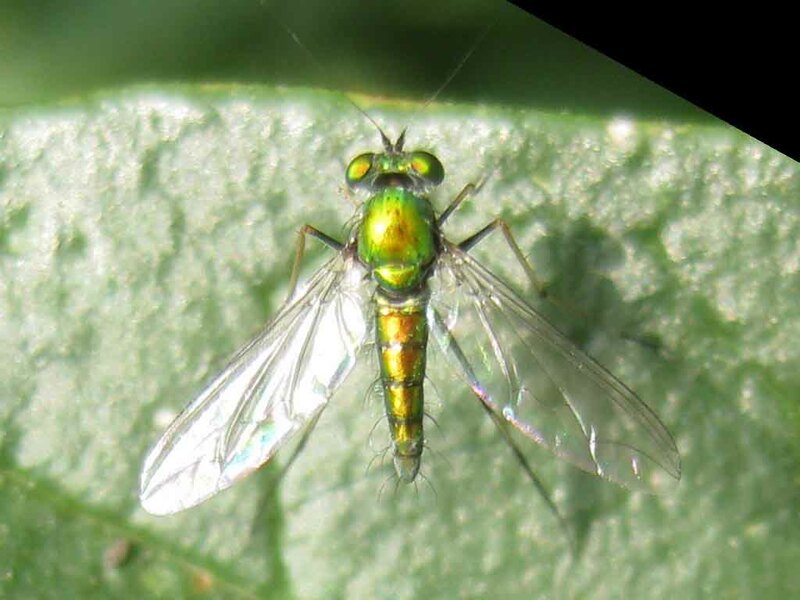 They are tiny flies with long legs and big eyes, having metallic green, blue or copper color bodies. 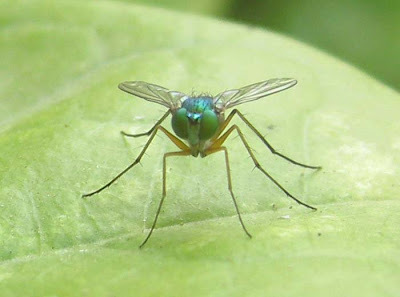 These flies are predatory on smaller insects. 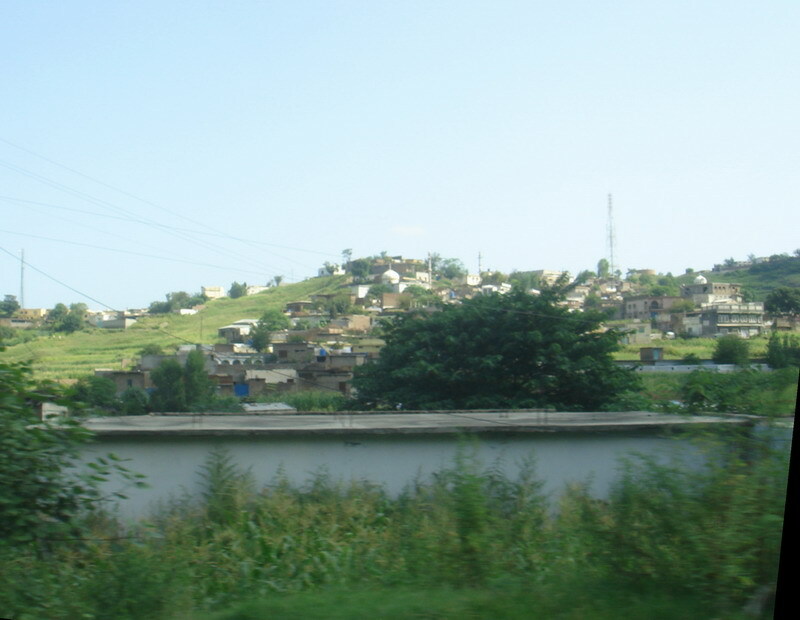 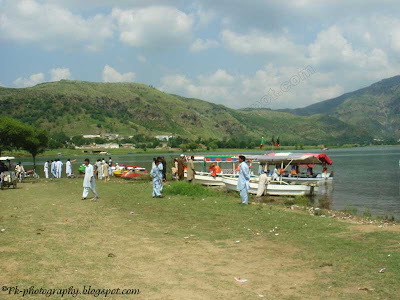 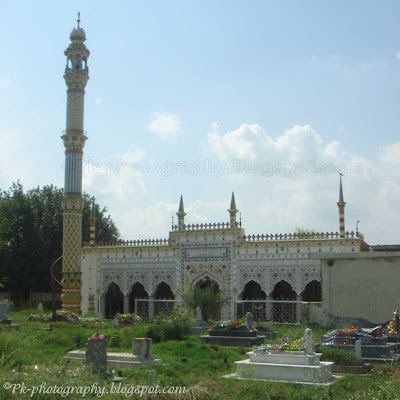 Haripur is a district in the Hazara region of the Khyber Pakhtunkhwa province of Pakistan. Haripur was founded in 1822 by Hari Singh Nalva, a Sikh General of Ranjit Singh's army. It has two tehsils; Haripur and Ghazi. 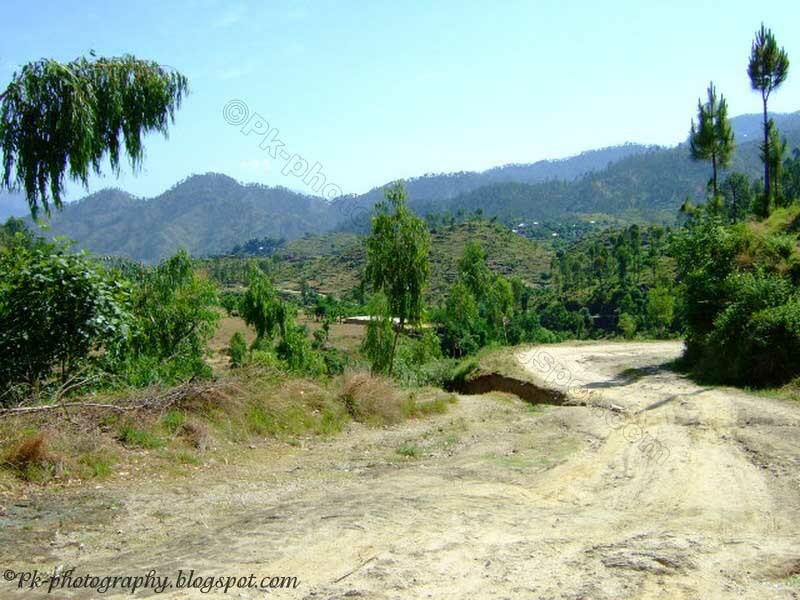 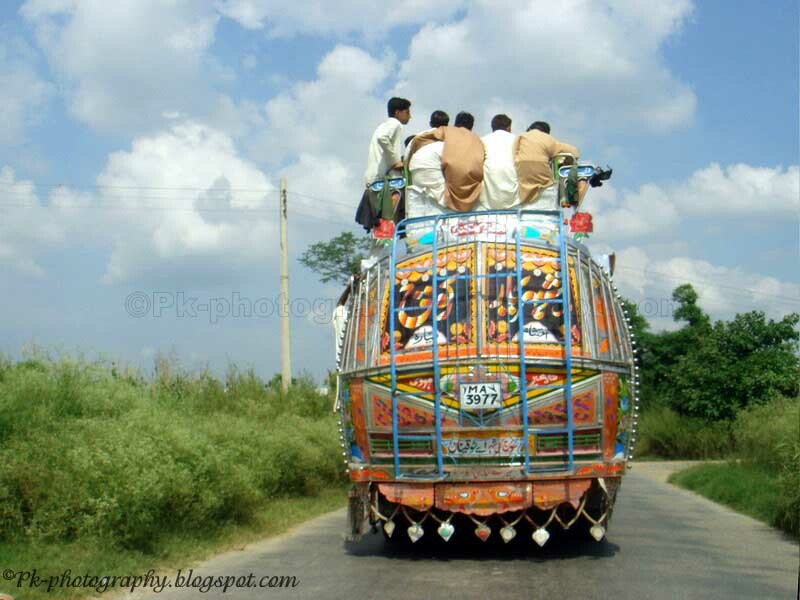 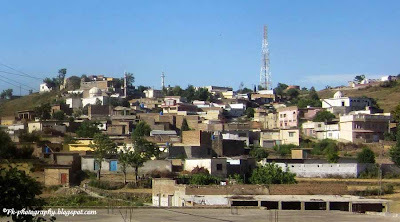 The population of Haripur is about 9 lakh. Over 70 percent of total population speak Hindko. 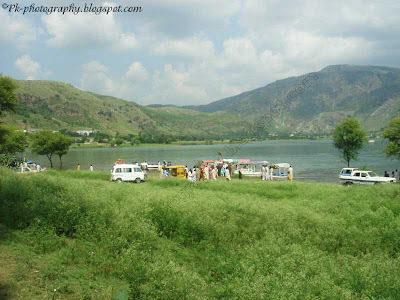 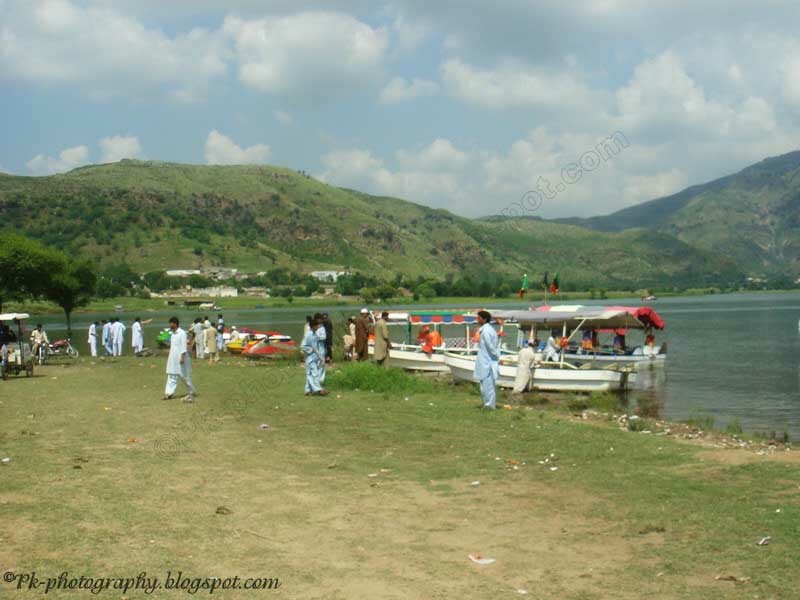 The area is rich in natural resources, including two very important water reservoirs; Tarbela dam and Khanpur dam. 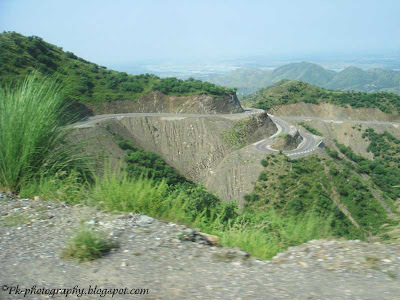 Hatar industrial state at Haripur play a vital role in the country economic development.